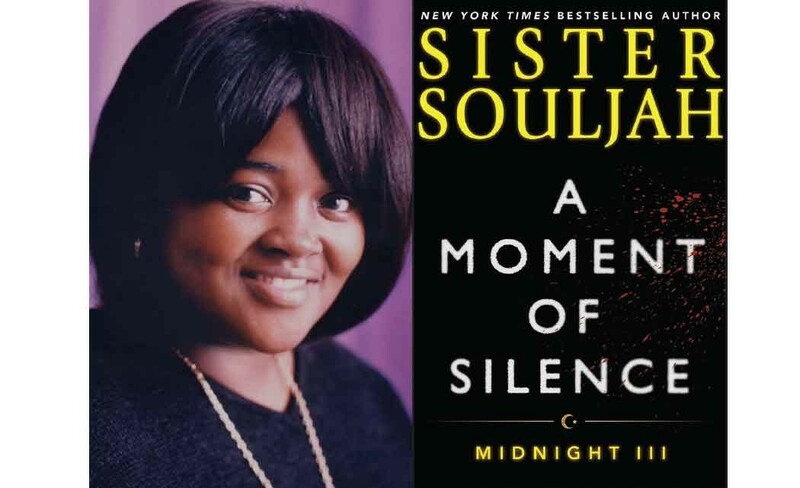 Sister Souljah did not allow poverty to limit her. Born poor, she is now a graduate of Rutgers University, an impactful activist and a world traveler who has also studied abroad. Add to those distinctions wife of 23 years, mother and bestselling author of five books. She has hit the road on a book tour to promote her latest book, A Moment of Silence: Midnight III, rolling into South Florida for three events. On Nov. 18 she will discuss the book and sign copies at the Mandel Public Library, 411 Clematis Street in West Palm Beach, from 6 pm to 8 pm. Nov. 19 finds Souljah in Ft. Lauderdale at the Lauderdale Lakes Library, 3580 W. Oakland Park Boulevard, from 6 pm to 8 pm. She is also a part of the Miami Book Fair on Nov. 21 from 5 pm to 7 pm.